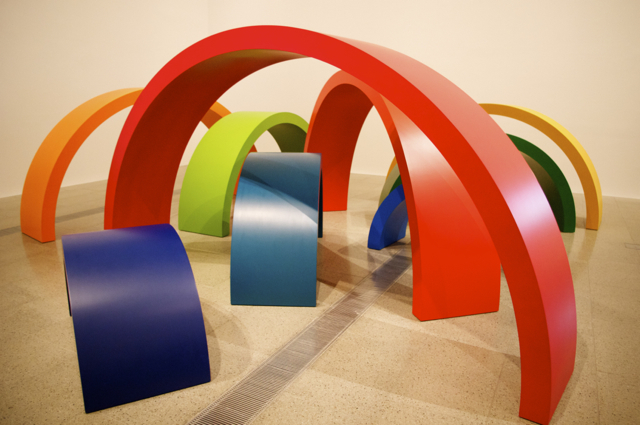 'The Dawn' by Emily Floyd is a great exhibition currently at the NGV Fed Square which represents a survey of selected works from Floyd's fifteen year career. Children are invited with two kids friendly installations: 'Small Press' and 'Word Farm'. 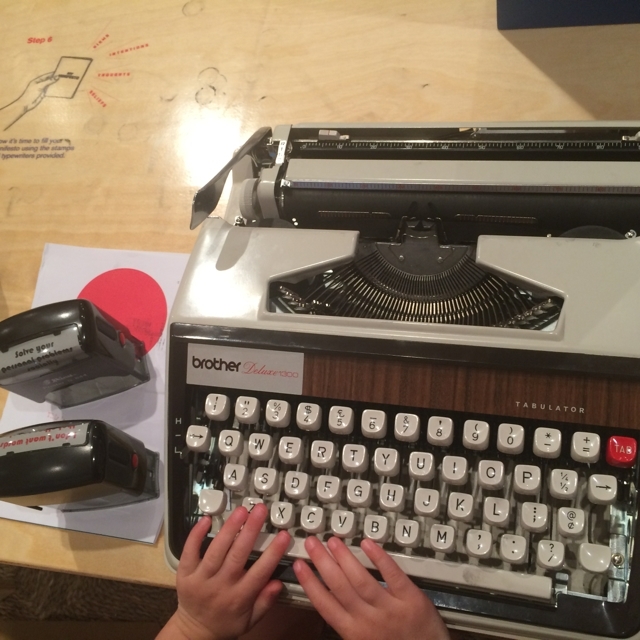 'Small Press invites children to create their manifesto using stamps, typewriters, photocopiers and papers. 'Word Farm' is a tactile installation of individual sculptural letters for children to arrange and play with. Little Miss enjoyed this colourful exhibition but loved typing away at the typewriter and stamping her little manifesto the most!